From 1 November, all cars and light commercial vehicles registered in European Union member states, with a GVW of fewer than 3.5 tonnes, must have ESP as standard equipment. The regulation will take effect for all other vehicles on 1 November 2015. Bosch estimates that its Electronic Stability Programme has prevented 190,000 collisions and saved more than 6,000 lives across Europe. The German Tier 1 has manufactured 100 million ESP systems since the first applications in 1995. Another statistic from Bosch is the claim that 84 percent of all new vehicles in Europe were equipped with ESP in 2014, but worldwide, that falls to only 59 percent. 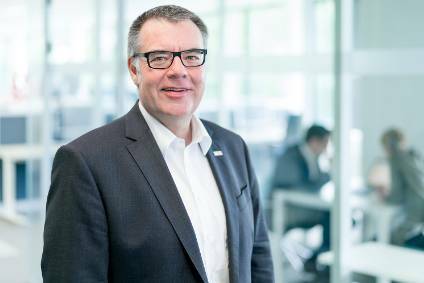 “ESP is an unparalleled success story that we hope to replicate outside Europe as well,” says Gerhard Steiger, president of the Bosch Chassis Systems Control division. According to independent studies, up to 80 percent of skidding accidents on the road could be prevented if all vehicles were equipped with the anti-skid system. Without an electronic stability system, swerving on dry, wet, muddy, or slippery roads can lead to loss of control of a vehicle. Using smart sensors 25 times per second, ESP compares whether the car is actually moving in the direction in which the driver is steering it. If the measured values do not match, the anti-skid system intervenes and first reduces engine torque. If that is not sufficient, it additionally brakes individual wheels, generating the counterforce needed to keep a vehicle on course. Since September 2011, ESP has been mandated for all vehicles in the United States and Canada with a gross vehicle weight up to 4.5 metric tons. Australia and Israel have also made ESP mandatory. Similar regulations will take effect in Japan, South Korea, Russia, and Turkey in the years ahead.